I just checked the Microsoft download site to see if there is anything new. 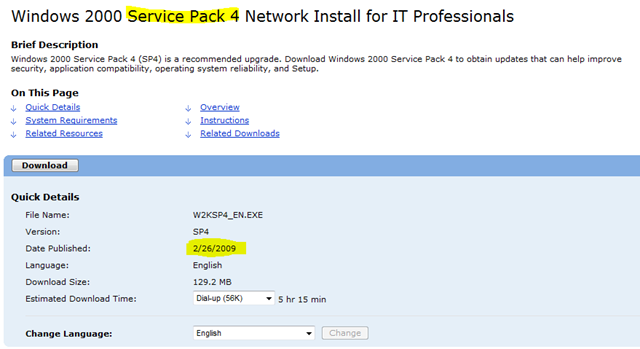 On the top of the list (sorted by release date) I found the Windows 2000 Service Pack 4. Something must have got mixed up there.